Quintessence of Light finally made an appearance at my garrison menagerie on the beta, so for a unique Look-a-Like Challenge, I decided to take on a battle pet NPC this time around. 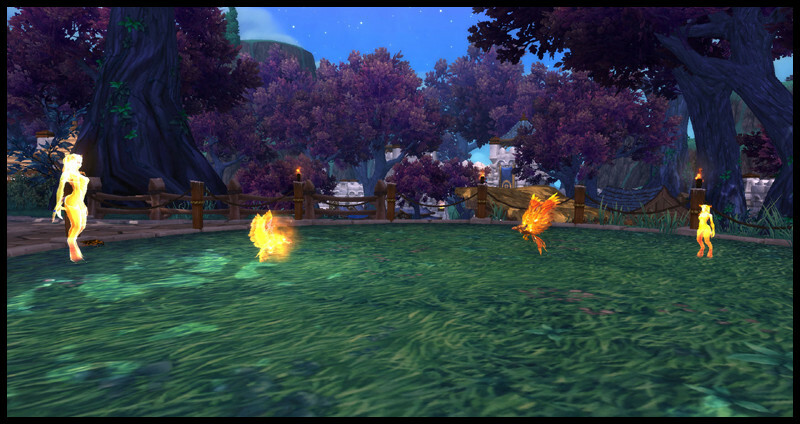 Note: I didn't actually use my Phoenix Hatchling in this battle; it was just for funsies. If I had Firewing, the look-a-like would have been even better. That will have to wait until later in the beta or once WoD is released though, since Firewing is still unavailable as far as I know.